This page of our website is devoted to the most Frequently Asked Questions we receive across all our departments. If your question isn't here, don't worry! You can probably find it elsewhere on our website, or by calling the office at 223-1104. Thanks for looking, and visiting our website. 1. What are the Town Hall's office hours? The office is open from Monday through Thursday from 8am to 4pm and Fridays from 8am to Noon. 2. Where do I go to register and vote on election day? All voters and people wishing to register in Blooming Grove vote and register at the Town Hall located at 1880 South Stoughton Road Madison, WI 53716. 3. When and where are the Town Board Meetings? The town board meets twice each month; on the second and fourth Wednesdays at 6:30pm. The meetings are located in the Town hall and are open to the public. 4. Can I get property tax information online? 5. I live in Gallagher Plat and have a question about my water bill, who do I call? If you live in the area of our town that has municipal water and sewer, you are served by the Madison Water Utility. They can be reached at 266-5984. The Town is unable to answer questions about your water or sewer services. 6. 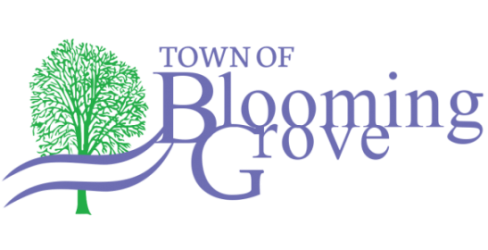 I've heard that Blooming Grove will be going away, is that true and if so when? Yes, that is correct, we have a boundary agreement set up with the city of Madison, and the last day of Blooming Grove's existence is October 31, 2027. The following day, November 1, 2027 whatever is left in Blooming Grove will become Madison and all residents will become Madison residents. 7. I have chipping that needs to be picked up, when do you chip, and where should I put it? First, the Public Works Department chips the entire year. The schedule is: January through March once per month; April and May each week; June through August every other week; September and October each week; November and December once per month. Please remember when setting branches out for chipping that the cut end must be facing the road, and that the branches need to be 6 inches or less in diameter in order to go through our chipper. Also, if your tree was cut down by a contractor the town will not pick up your chipping; it is the responsibility of the contractor to remove the debris. On the weeks that chipping is chipped, if you have your chipping placed out by Monday at 7am, it should get picked up by Friday at noon. 8. I'm building a deck, do I need a permit? Yes, in fact you need a building permit for almost any type of construction/renovation at your house. Call our Building Inspector, Ben Koch, at 259-6860 to see what type of building permit you need, and the cost. 9. When are trash and recycling picked up? Who can I call if I have problems or if mine isn't picked up? Trash is picked up every week, and recycling is every other week. The schedule is available under "Forms and Permits" on this website. If you have questions about what can or can't be thrown away or recycled in your carts, or if you are having problems with your service, contact Advanced Disposal at 251-7878.